Large rough-textured dark green leaves are bordered with a pattern of silvery-grey spots, as if a paint brush dipped in aluminium paint had been used. 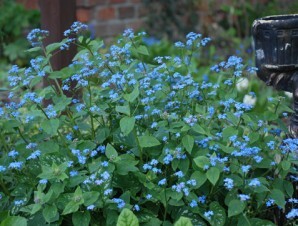 Long sprays of forget-me-not blue flowers hover above them for weeks in spring. H46 cm. 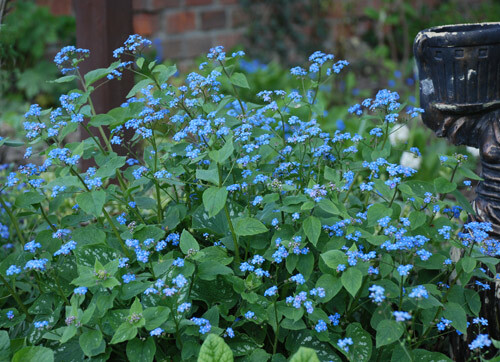 Categories: A-D, Featured Plants, Plants A-Z, Plants by Season, Plants In Situ, Spring, Summer, The Cool Border, The Cottage Garden, The Spinney Walk.